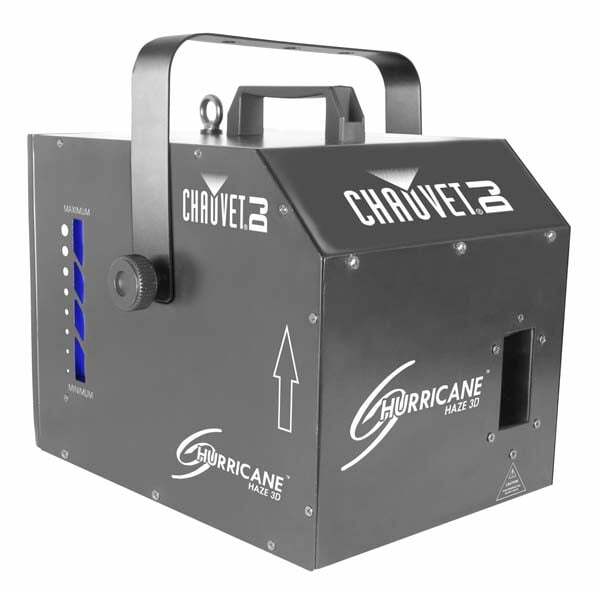 The Chauvet DJ Hurricane Haze 4D is a slim-line, high output haze machine. 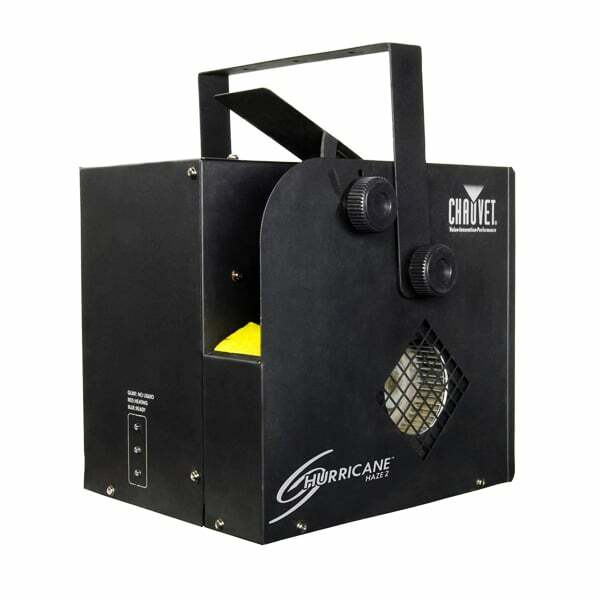 Designed for larger events and functions this water-based hazer delivers a constant output to help enhance your lighting show. 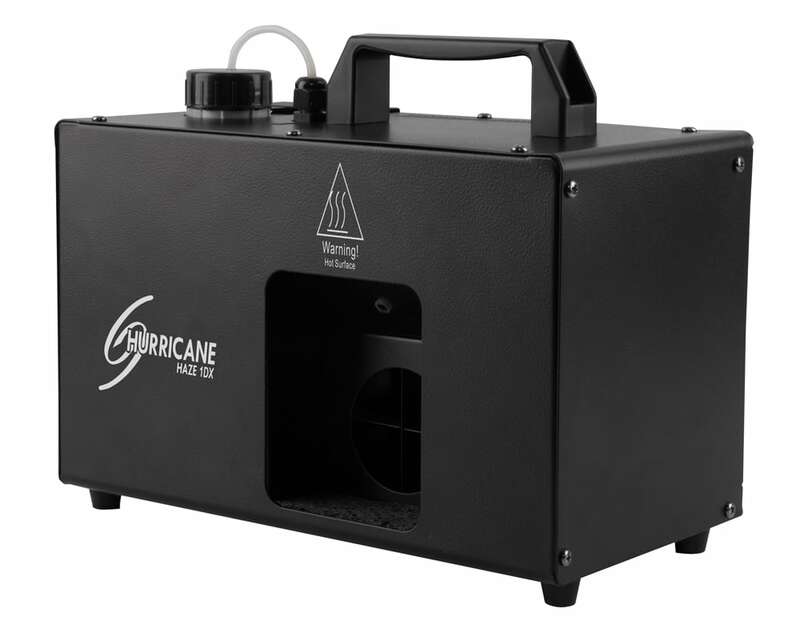 The hazer features an adjustable blower speed, and output via the digital menu for complete stand alone use. As well as an adjustable front scoop for angling the effect upwards. 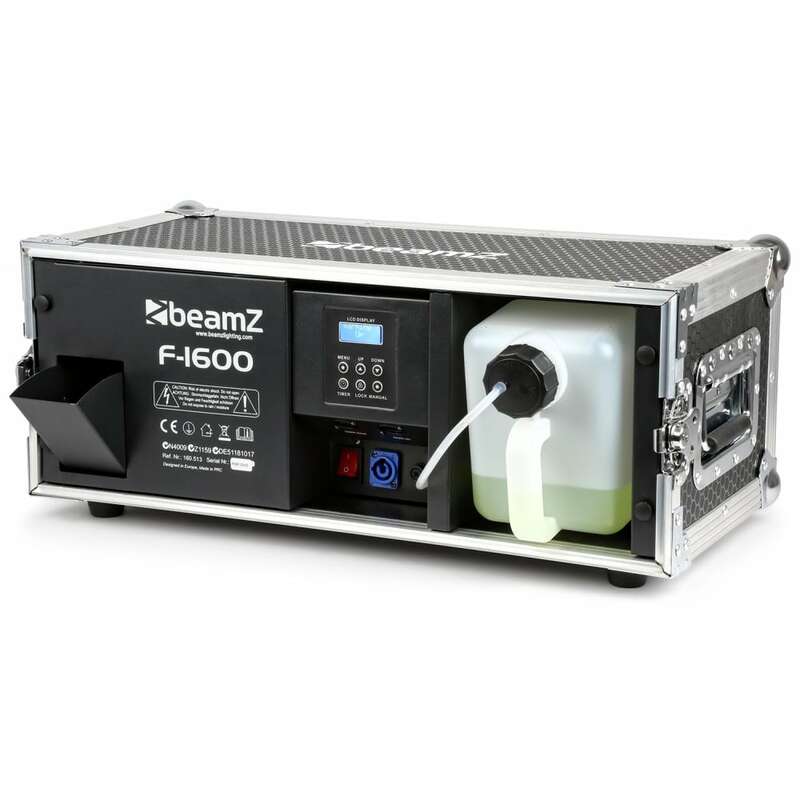 Designed to work as a stand alone unit or as part of a lager set-up with the wired FC-T remote or DMX connectors.